Low noise compact current probe for measuring low level currents from 1 mA to 5 A. Slim and light weight sensor head makes it easy to use in narrow spaces. Zero-adjustment can be done by simply pushing the button on the termination box. Demagnetization can also be done by holding down the DEMAG button for a quicker setup. Powered by the DL’s probe power supply terminal. 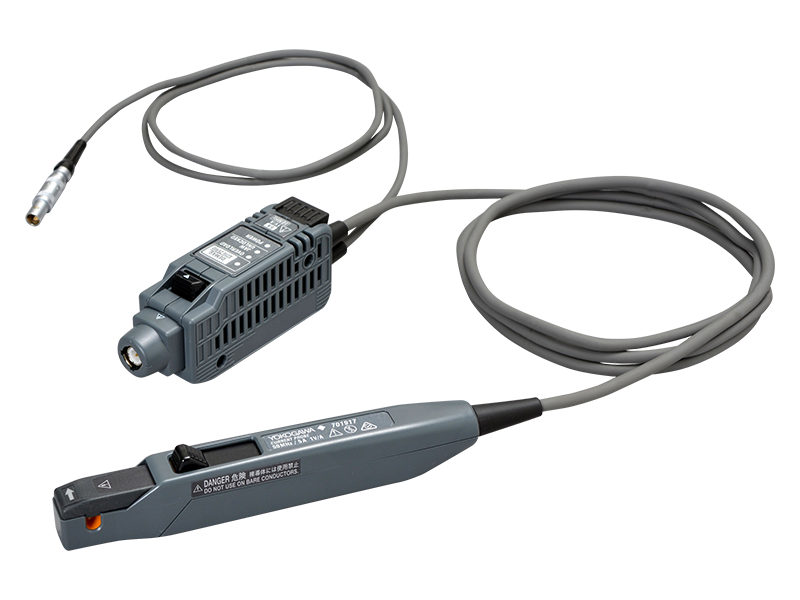 The probes are also compatible with the 701934 probe power supply. Current values can be read directly on DL series instruments. Using the current probe selection menu eliminates the need to enter current/voltage conversion values.